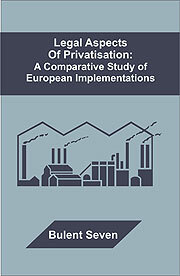 (a) To present a comprehensive analysis of the concept of privatisation its origins and limits, (b) To identify the legal and institutional framework for privatisation in different European countries from a comparative perspective; (c) To define and analyse particularly legal issues which arise during the privatisation transactions: e.g. labour law, competition law etc. ; (d) To evaluate which features of the successful legal and organisational framework of privatisation have been successful so as to provide guidelines for those individuals and organisations participating in the privatisation exercises. This work found out that there is no simple, internationally applicable recipe for privatisation; various legal methods and techniques can be used to privatise state owned enterprises. Because each country has different circumstances, it is impossible to provide a unique model for privatisation; each country needs to design its own model according to its circumstances. Privatisation is an essential but insufficient element for structural economic reform in the economy and society. Privatisation is not a panacea, it is not the solution to every economic and administrative problem; selling an enterprise to the private sector does not mean an end to all problems. Also privatisation is not an overnight process or a magic touch; it will be a lengthy process. Furthermore, a decision that something can be privatised does not mean that it should be privatised. In that context, privatisation is not good or bad; it is an economic and social instrument. If it is well designed it may bring substantial benefits to the economy and society. In many countries, many state owned enterprises, particularly the ones which are financially weak, have still not been privatised. This finding revealed that the privatisation process will be in the political and economic agenda for at least few more decades. LL.B, 1991-1995 (University of Ankara, Faculty of Law, Turkey); LL.M, 1995-1997, (University of Ankara, Faculty of Law, Turkey); Ph.D., 1997-2001, (University of Essex, School of Law, England; LLM, 2001-2002 (University of Michigan Law School, USA); LLM, 2002-Present, London School of Economics and Political Science. Worked as lecturer and teacher in the University of Essex, School of Law (1999-Present) and in the University of Hacettepe, Department of Finance, Ankara, Turkey. (1995-1997).